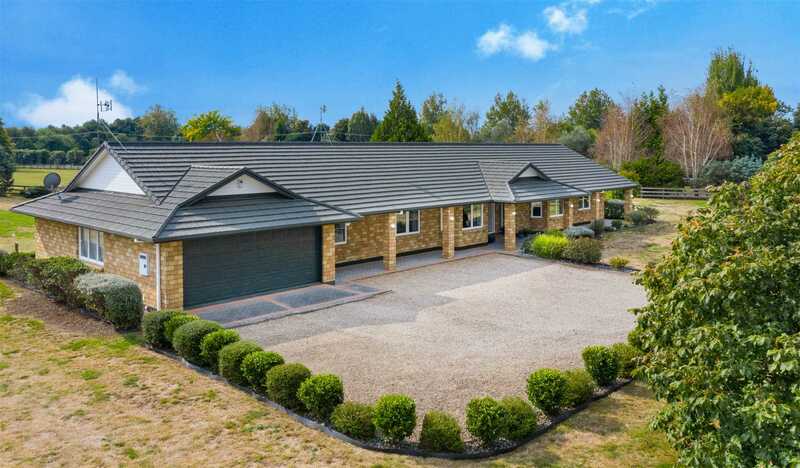 This large family home has lots to offer its next owner. Loaded with content this spacious Hineura Stone property is 306m2 (more or less) and is situated on a 5825m2 fully fenced section. Offering 4 double bedrooms, all with built in wardrobes and the master boasting a full en-suite, including corner bath, shower, vanity and toilet. Master bedroom also offering a walk-in wardrobe. Underfloor heating is in both bathrooms, the front hallway and kitchen for added comfort. The main bathroom is large, with sunken bath tub, double vanities, separate shower, and separate toilet. Keeping warm won't be a problem in this property, with the above-mentioned underfloor heating, 3 heat-pumps, ducted heating system for the bedrooms and UPVC double glazing throughout. There is also upgraded insulation with the interior and exterior walls all insulated. The living areas are spacious and light, with your choice of 2 dining areas and 2 living rooms. One living room can be closed off from the rest and offers soundproof insulation, making it an ideal media room. The renovated kitchen offers ample storage space and all the modern amenities, featuring; a tiled kitchen bench/countertop, 2 x wall ovens, Bosch rangehood, 5 burner gas hob, filtered water tap, Bosch dishwasher and breakfast bar. You can enjoy the flow from the dining/ open plan living out to the paved outdoor area and garden, which is an ideal spot for entertaining. There is also the added bonus of a small separate office. Ample off-street parking is available here, plus a double internal access garage, with separate workshop or hobby room. The huge laundry area is in the garage, with space for all appliances and extra fridge/freezers as required. This home is on tank water supply with the added bonus of trickle feed connection. In Zone for top schooling from primary through to secondary including Berkley and Hillcrest High.